Wouldn’t it be great if you could learn how to meditate to reduce stress and depression in your life and even increase your productivity? I bet you would agree that this would indeed be a very valuable lifestyle change. In my simple words, Meditation is a form of focused relaxation enabling an inner connection to the universe. It looks different for various people: from listening to one’s breath to engaging in yoga poses. This way of connecting to a higher force is increasing in popularity, especially in the West. Some people choose to meditate for physical and mental health, while others decide to practice meditation for spiritual reasons. A comfortable and relaxing setting: Meditation usually occurs in a quiet environment, away from distractions. It could be by the lake, in the woods or even in your home. Some people sit and breathe silently while others choose to listen to relaxing music while laying on their beds. Posture: Generally the participant in meditation will use a specific posture. The most common posture consists of crossing the legs, with the spine straight, and hands on the knees. Sometimes participants engage in Yoga or Tai Chi. Concentration: While meditating, the participants will focus on specific things such as their breath, an object or a mantra. A receptive mind: Here you let thoughts flow through your mind without judgement. An open mind is crucial for this intense relaxation technique. Meditation is known to improve your mind and your body at the same time and as such can greatly contribute to your overall success. Continue reading to discover the benefits of mediation later on this article. Now that you have a sense of what is involved in meditation, let’s review my pick of the best meditative techniques. Go trough the following 10 steps first every time you want to start meditating. At the end choose one or two techniques that best suit you and make a point to practice them regularly. Step 1: Before you start engaging in meditation, you need to ensure that you have set aside enough time free from any kind of distraction. Indeed relaxation involves being in a comfortable position and also formulate the intention to meditate. Step 2: Choose an environment in which you feel safe and relaxed, with soft lighting if possible. Step 3: Sit upon a comfortable cushion or a chair whatever is more convenient for you. Step 4: Use a familiar music and put your music player on repeat tracks. Step 5: Cross your legs in front of you or place both feet evenly on the floor if you are sitting on a chair. Step 6: Rest your head in line with your shoulders by elongating your neck and spine. Relax. Step 7: Rest your arms on your knees. It does not matter if your palms are facing up or down. Step 8: Breath naturally in and out with the chest and belly rising and falling. Step 9: Take a few deep breaths. Relax as you exhale. Step 10: You are now ready to engage in meditation. The Breath Focus: You close your eyes and focus your undivided attention on the experience of your lungs being filled and emptied. This specific technique is the foundation of meditation and many methods build upon this one. The Body Scanning: This technique is mainly used for relaxation purposes. You simply pay attention to different parts of your body in sequence. It allows you to tense and relax each part with a focus on how you feel afterwards. 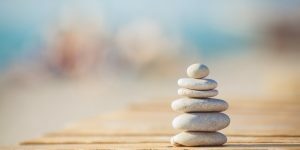 The Energy Focus: Here you focus your attention on the energy that surrounds you and find a sense of “grounded” – a place of intense relaxation. The Visualization Technique: As explained in length in a previous article, it entails closing your eyes and focusing on an image of a peaceful place. The Imagery: You listen to a recorded track guiding you through peaceful images and engage your senses. The Mantra: You repeat a word many times, either silently or out loud. Yoga: Slow and methodical movements allowing to focus on the energy in the body and the breath. T’ai Chi: It is a form of martial arts that allows the participant to focus on the inner energy flowing through the body. Qi Gong: This technique combines relaxation, movements, and breathing exercises. Come from the Chinese concept of Qi, or energy. Mindfulness Meditation: Involves practicing mindfulness on the inner thoughts and feelings. This list is by no means an exhaustive one but it’s a good starting point for your quest of meditative methods. Some people prefer to meditate early in the morning before starting their day. This helps them start on a positive note. Others would rather meditate just before bed. It helps them relieve anxious thoughts and sleep peacefully. Meditation has many benefits such as increased productivity, stress reduction, muscle tension reduction. 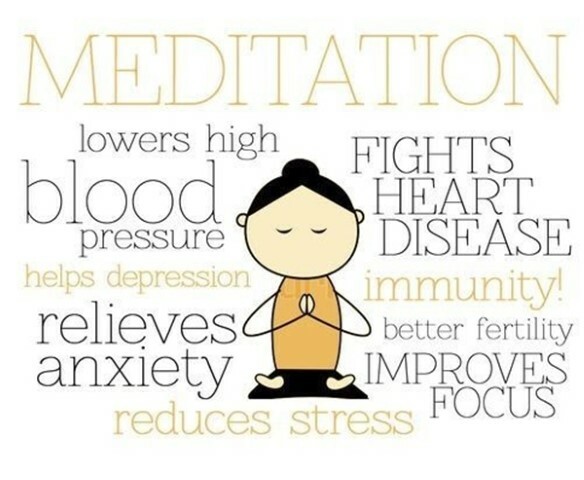 These are just a few of the positive impacts meditation can have on your well being. Some corporations have meditation programs that are proven beneficial for both the employer and employees. Indeed, according to Project-Meditation.org, a Detroit-based chemical plant implemented a corporate meditation program. After three years, they reported an 85% reduction in absenteeism, a 120% increase in overall productivity, a 70% reduction in injuries, and a whopping 520% increase in company profits. Meditation has multiple benefits when used as part of a healthy lifestyle. Here under a sample of the many advantages of engaging in regular meditation practices.